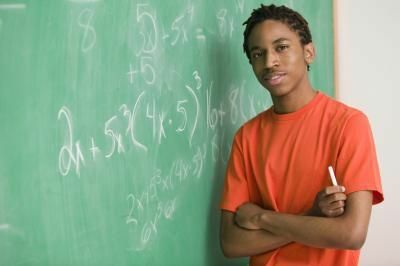 African American students feel more prepared for college than other ethnic groups, a recently released study has found. The study was conducted in April and May of this year by TRU, a Chicago-based research company focused on researching the attitudes and habits of the millennial generation. TRU surveyed 5,600 students, half of which were college-bound kids in high school, the other half were current students at 2- and 4-year institutions. Deborah Maue, a TRU vice president, said the large sample size allowed researchers to see differences in the attitudes of racial groups. Of the 2,800 high school students who were asked if they felt prepared for college, 36 percent of African Americans said they felt prepared, while only 30 percent of Hispanics, 28 percent of Caucasian students, and 27 percent of Asians said they felt the same. “That was interesting to us that such a low percentage of students overall felt prepared for college given the emphasis that’s placed on the college admissions process from day one,” said Maue. She said this attitude likely comes from a general trend among millennials to feel anxious and unready to grow up. Additionally, more Hispanic and African American students thought the admission process was fair than their Asian and Caucasian counterparts. “African Americans and Hispanics are underrepresented, so institutions that are looking to represent the population at large look at large to African American and Hispanic students,” Maue said. Although Asian students are also minorities, TRU hypothesized that because Asian students tend to do well on traditional measures of high school achievement, such as higher test scores and GPAs, they are rarely the focus of outreach programs. Maue said these students are also more likely to apply to more selective universities with lower acceptance rates. The study also found African American students gave college applications more forethought than any other ethnic group. Maue said African Americans were more likely to be first generation college students. “Their parents are less familiar with the process so they feel the need to start planning earlier,” Maue said. She explained that parents who went to college are more familiar with the application process and tend to be more involved with their children’s college planning. Students from less affluent families turned to outside influences such as coaches, guidance counselors and teachers for information.